Nestle announced yesterday that its wholly-owned subsidiary Nestle Products Sdn Bhd has been sued for RM139.3mil by Mad Labs Sdn Bhd (MadLabs) for the alleged unauthorized use of MadLabs’ QR code and breach of an implied contract between the two. MadLabs is a technology-based R&D company which focuses on web, mobile electronics and robotics tech. According to an announcement to Bursa Malaysia, this is the first material litigation case for Nestle (Malaysia). Among others, MadLabs is seeking Nestle to; 1. Declare that it has wrongfully/unlawfully utilized/printed MadLabs’ QR code on Nestle’s products/packaging; 2. Immediately cease and desist from utilizing/ printing MadLabs’ QR code on all its products/packaging; 3. Pay the sum of RM139.3mil. In Dec 2018, it was alleged that some of Nestle’s Maggi products’ QR code linked consumers to offensive content instead of redirecting the consumers to Maggi’s website. 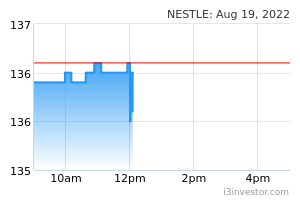 This led Nestle to report the incident to government authorities. Subsequently, MadLabs’ internet domain was temporarily suspended by the MCMC in the same month before the suspension was lifted on 18 December 2018. According to marketingmagazine.com.my, MadLabs’ managing director stated that it first created the code for a trial test run for one of Nestle’s campaigns for 6 months with the agreement that should Nestle be interested, it could set a discussion but this did not happen. However in October 2018, the managing director said he was informed by Nestle that the QR code was inadvertently printed on 170,000 tonnes of packages across 38 of Nestle’s products. We believe the amount claimed (RM139.3mil) is substantial as it is circa 19.1% of our full-year earnings forecast for FY19F. However, Nestle will be contesting the claim as it stands firm that the claim is unjustifiable. Nestle does not expect the claim to impact the company operationally or financially. 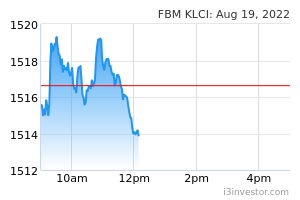 We maintain our UNDERWEIGHT call with an FV of RM122.74 based on DCF.